We are proud to add Mr. David Diepold to our endorsers. David is an incredibly talented artist, we are amazed to see him play the most technical drumming songs ever in his personal Youtube Channel. Follow him also with his band Give em Blood and Cognizance. We are enthusiastic to announce our new endorser, Mr. James Payne Drummer. Drummer for Hiss From The Moat, ex Vital Remains and Hour Of Penance. Co-founder of The Drum House. 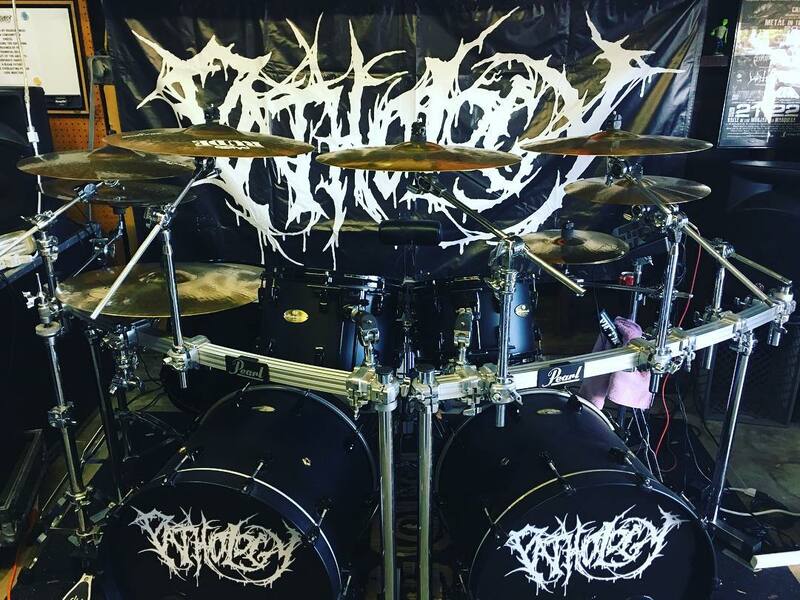 Pathology are undountedly one of the biggest names in US Brutal Death Metal scene. We are SO proud to announce drummer and founder Dave Astor as endorser! Mike Ponomarev, session drummer from the city of Kazan’. He played in bands – Second To Sun(Russia, Saint – Petersbrug), Irreversible Mechanism (Belarus, Minks), Syndrome(Russia, Kazan).